The environmental committee in the Spanish parliament recently passed a resolution giving apes the right to life and freedom. The legislation, expected to pass with bi-partisan support, would prohibit using apes in circuses or filming, and outlaw the use of great apes in ‘harmful’ experimentation. The resolution encourages involvement with the Great Ape Project, founded by Peter Singer and Paola Cavalieri, an organization that believes that ‘non-human hominids’ should enjoy many of the same rights as people. On another front, Paula Stibbe appealed to an Austrian court to declare ‘Matthew’, a 26-year-old chimpanzee, a person so that he could have a guardian to look after his interests in case the animal sanctuary where he lives is forced to close due to bankruptcy. 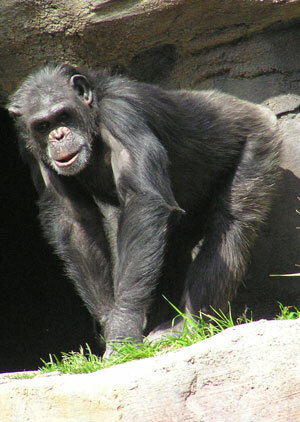 The Austrian court ruled against Stibbe without commenting on whether primates could be declared persons. Stibbe is appealing the case to the European Court of Human Rights. Stibbe insists that she is not trying to have Matthew declared a human, but a person, apparently on the grounds that, ‘Everybody who knows him personally will see him as a person.’ Personification of animals that one is fond of is nothing new; but it’s hardly a legal or rational argument. The idea that some human rights should be granted to some animals is not a revolutionary idea; Singer was advocating extending traditionally human rights to animals as far back as Practical Ethics in 1979. Recently, however, it has gained a new respectability based on the similarity between human and ape DNA. 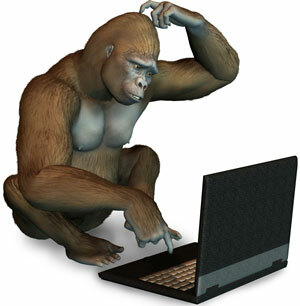 An article on the GAP site claims that humans and chimps have only 0.5% to 1.25% difference in DNA. In reality, humans and apes probably share closer to 95% DNA similarity. The argument of the animal rights proponents is that apes are our closest evolutionary relations; the differences between us and them are only differences of degree, not kind. After all, a few million years ago, we may have had the same ancestor. 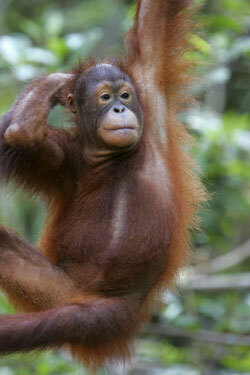 If apes are our cousins a few thousand times removed, then don’t they have just as many rights as we do? Some animal rights organizations go even farther. 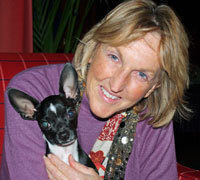 Ingrid Newkirk of PETA (the misnamed ‘People for the Ethical Treatment of Animals’) made the infamous statement “a rat is a pig is a dog is a boy,” and said that “it is only human supremacy, which is as racism and sexism, that makes us afraid of being more inclusive.” Singer agrees, provocatively labeling as ‘speciesism’ the idea that humans have innate differences from animals, giving us rights they don’t have. But why did Newkirk stop at rats and pigs and dogs, and why does the Great Ape Project only lobby for the rights of apes? Why is it not, ‘an amoeba is a flea is a cockroach is a rat ’? After all, if we are all related by evolution, and that relationship entitles them to the same rights as us, then we would be evil for denying rights to some animals just because they repulse us. Indeed, being repulsed by a cockroach, or even thinking that humans are more valuable than a colony of bacteria wiped out by antibiotics, might be the ultimate example of ‘speciesism’. Even the the anti-Christian (and certainly anticreationist) magazine New Scientist long ago took a stand against giving apes rights based on DNA similarity, pointing out that even though we share a lot of DNA in common with apes, genes aren’t ‘cake recipes’ and that a few genes can amount to a large difference. Animal rights’ supporters also exaggerate simian achievements in the areas of art and language to argue that apes ‘enjoy a rich emotional and cultural existence’, in the words of the GAP site. However, even non-creationist scientists who study ape behavior say that there is an ‘unbridgeable gap’ between apes and humans—the signs made by apes are nothing like the grammatical languages of humans. The interesting thing about the animal rights’ activists is that they appeal to evolutionary arguments to say we should treat apes kindly, but they have no evolutionary basis to say so. If natural selection declares humans the more fit, what reason is there under their belief system to preserve a less fit life form? Animal welfare is about treating animals humanely. The animal rights lobby goes much further, in wanting to give animals the same rights as humans. But many animal rights groups deceive donors into thinking that they merely support animal welfare. As G.K. Chesterton pointed out, evolutionists can argue from their belief system that we should be insanely sentimental or incredibly cruel to the rest of creation, but it can never be used to promote a sane view of nature, that of responsible stewardship that is part of a biblical worldview. Christians have traditionally opposed cruelty to animals; the SPCA (Society for the Prevention of Cruelty to Animals) was founded by William Wilberforce, an evangelical Christian better-known for his role in the abolition of the slave trade in England. But this was an example of animal welfare, which is about treating animals humanely. The animal rights lobby goes much further, in wanting to give animals the same rights as humans. But many animal rights groups deceive donors into thinking that they merely support animal welfare. In practice, people who want to put humans and animals on the same plane do so by degrading humans, not by exalting animals. The result is people like Singer who deem apes deserving of some human rights that they would deny to unborn (and even humans after birth). In a strangely Orwellian paradox, in their mind, some animals are people, but some humans aren’t. So it is not surprising that Singer supports infanticide and euthanasia. The Nazi movement was also based on evolution, as thoroughly documented by Richard Weikart in his 2004 book From Darwin to Hitler (see review). So it is not surprising that there is a chilling similarity between some of their ideas and those of modern evolutionists today (see also Dawkins and Eugenics). This is not to say that animal rights activists were inspired by Nazis; rather, when people are inspired by the same philosophy, it should not be surprising that they come up with similar ideas. In practice, people who want to put humans and animals on the same plane do so by degrading humans, not by exalting animals. The result is people like Singer who deem apes deserving of some human rights that they would deny to human babies and old people. Unlike the animals, humans were created ‘in the image of God’ (Genesis 1:27), and commanded to exercise dominion over Creation. The word that is translated ‘dominion’ (רָדָה rādāh) in Genesis 1:28 is the same word that is used for Solomon’s peaceful dominion over neighboring territories in 1 Kings 4:24. Both the Old and New Testament command people to regard the needs of animals; Proverbs 12:10 says, ‘A righteous man has regard for the life of his animal.’ Under the Mosaic law, animals as well as people were to participate in Sabbath rest (Deuteronomy 5:14). In several places in the Gospels, Jesus points out that Pharisees do ‘work’ on the Sabbath for their animals’ welfare (Matthew 12:10–12, Luke 13:15-16), implicitly agreeing that the welfare of animals is more important than legalistic observation of the Sabbath; in each instance, he is criticizing them for being more humane to their animals than to their fellow humans! The Biblical teaching about animal rights is clear: we should care for animals and treat them humanely by having responsible dominion over them. We are permitted to use them for our own purposes, but we are not to be cruel to them. The difference between humans and animals is not only of degree, but of kind, and ignoring or downplaying those differences leads to devaluing human life instead of greater respect for animals. Lack of understanding of the Dominion Mandate is responsible for the secular world’s obscuring the difference between animals rights and animal welfare. Cited in: Goldberg, J. Liberal Fascism, p. 386. New York: Doubleday, 2007. Return to text.